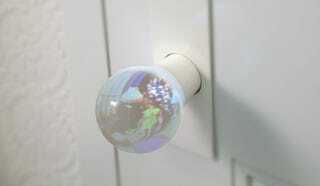 You probably don't spend much time thinking about door knobs, or how they could be improved. Maybe you should! This glass globe lets you catch a glimpse of what's going on in the room you're about to enter.